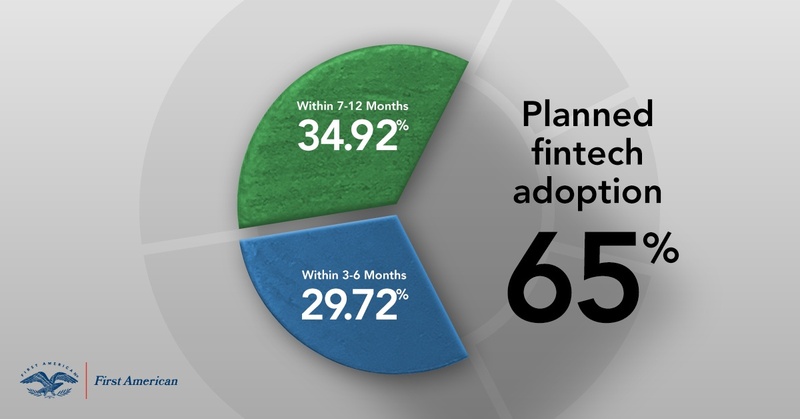 Will Fintech Adoption Among Real Estate Professionals Accelerate in 2019? Throughout 2018, we’ve seen many trends that set the groundwork for the acceleration of financial technology (fintech) adoption. It has been a strong seller’s market across the top U.S. metropolitan areas. With inventory low and house prices at historic highs, prospective home buyers felt pressured to settle deals quickly before opportunities fade away. Additionally, the largest group of prospective home buyers, millennials, expect greater efficiency and convenience in their home-buying experience. Given these factors, as part of our bi-annual Real Estate Sentiment Index (RESI), we surveyed title insurance agents and real estate professionals across the nation for their perspective on how fintech can improve the home-buying process. Three key innovations stood out: secure collaboration and communication portals, eClosing and remote online notarization, and chat bots. We anticipate that 2019 will bring increased adoption of these innovations. "Title agents and real estate professionals are embracing fintech to enhance the home buying experience and prioritizing fintech that secures collaboration between all parties in a real estate transaction." Is Fintech the Answer to Rising Fraud in Real Estate Transactions? 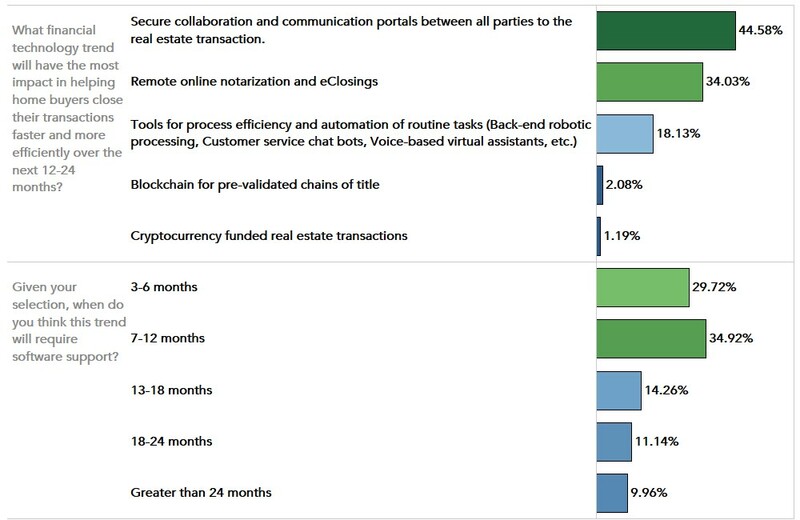 According to 45 percent of the title agents and real estate professionals surveyed, the most important financial technology that helps potential home buyers accelerate transactions is secure collaboration and communication portals. Survey respondents indicated that buyers would greatly benefit from a secure platform that allows them to correspond with lenders, real estate agents, escrow officers, and other parties involved with the real estate transaction. The emphasis on security does not come as a surprise, given that one of the major trends affecting the real estate industry, real estate professionals and consumers is the rise in wire fraud. eClosing and remote online notarization capabilities are also poised to make their mark in the industry. 34 percent of title agents and real estate professionals surveyed believe that remote online notarization and eClosings will have a large impact in helping home buyers close their transactions faster and more efficiently. Remote online notarization allows a notary to notarize documents remotely over the internet via tamper-evident digital tools, sophisticated fraud prevention technologies and live audio-video conferencing. This technology has already been accepted as an alternative to traditional in-person notarization in several states, and we anticipate seeing further uptick in 2019. Similarly, eClosing, the electronic execution of mortgage loan closing documents in a secure digital environment, is a faster and more efficient alternative to the traditional paper-based real estate closing. eClosing can also reduce the risk of manual errors in the closing process, improving loan quality alongside efficiency. Finally, 18 percent of title agents and real estate professionals indicated that tools that help with process efficiency and automation, such as customer service chat bots, would help deliver a more efficient home-buying experience. With more and more prospective home buyers searching for homes and information online, chat bots can help real estate agents engage potential customers in real time as they are browsing online listings, at any time of day. This technology has great potential to serve the real estate industry. Title agents and real estate professionals are keenly aware that fintech is transforming the industry, and plan to take full advantage of specific technologies for faster and more efficient transactions. 35 percent of title agents and real estate professionals anticipate needing software support for remote online notarization, and secure collaboration and communication portals, in the next 7-12 months. Nearly as many (30 percent) title agents and real estate professionals indicate they will require software support as soon as 3-6 months. Collectively, 65 percent of respondents intend to adopt these technologies in the next 12 months. Streamlining time-consuming processes, as well as delivering an improved consumer experience, is top of mind for real estate professionals. Fintech is here to stay. Despite the positive outlook for the potential of fintech, optimism about the housing market decreased among title agents and real estate professionals this quarter. This is likely due to rising mortgage rates and high house prices. 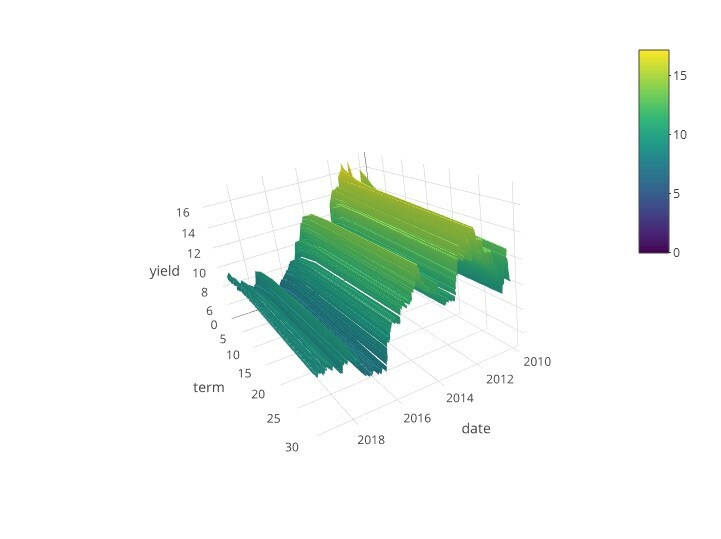 Until now, rising rates had only impacted the outlook for the refinance market. However, this quarter, in addition to the impact on buyers’ affordability, rising mortgage rates reduce the incentive for existing homeowners to sell their homes. Those who don’t sell, don’t buy either and that is contributing to the decline in sentiment. Title agents and real estate professionals expect residential house prices to increase by 2.2 percent in the next year. The outlook for residential price appreciation is down 2.1 percentage points from the second quarter of 2018, and 1.2 percentage points from the previous year. Changes to house prices in part reflect the relationship between supply and demand. As housing supply increases relative to demand, price appreciation slows down. In the current state of the market, rising prices and increasing mortgage rates have reduced affordability, discouraging some first-time home buyers from entering the market. 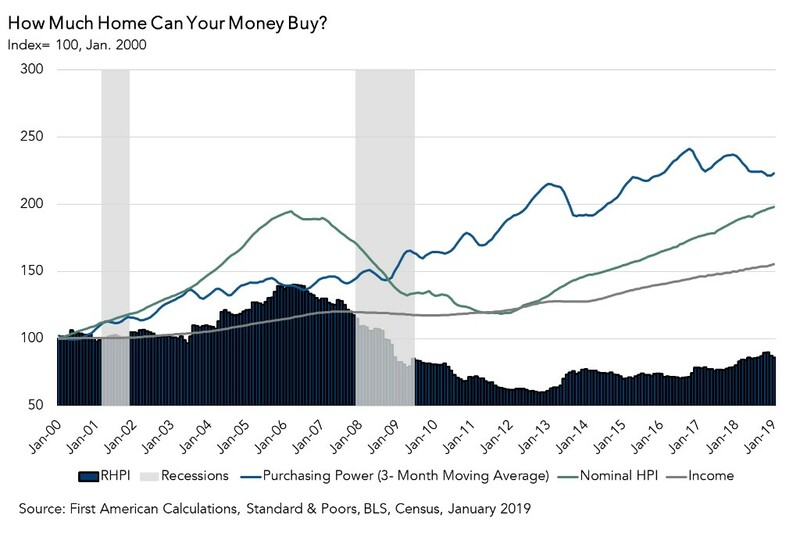 Additionally, rising mortgage rates have reduced the propensity of existing homeowners to sell, which also prevents them from becoming buyers. Survey respondents expect that reduced demand will slow house price appreciation. For the full analysis of the RESI findings, the top five states and markets for transaction volume growth and price appreciation, and more, please visit the Real Estate Sentiment Index. The RESI is updated bi-annually with new data. Look for the next edition of the RESI in June 2019.